An estate agent who co-presented a popular BBC property programme has opened a new venture in West Cheshire. Scott Lucy enjoyed four years working on the “Living in the Sun” series with Nadia Sawalah and the late Kristian Digby where he was its Spanish Property Expert. The father of two has now swapped the Costa Blanca for Cheshire to launch Amazing Results! 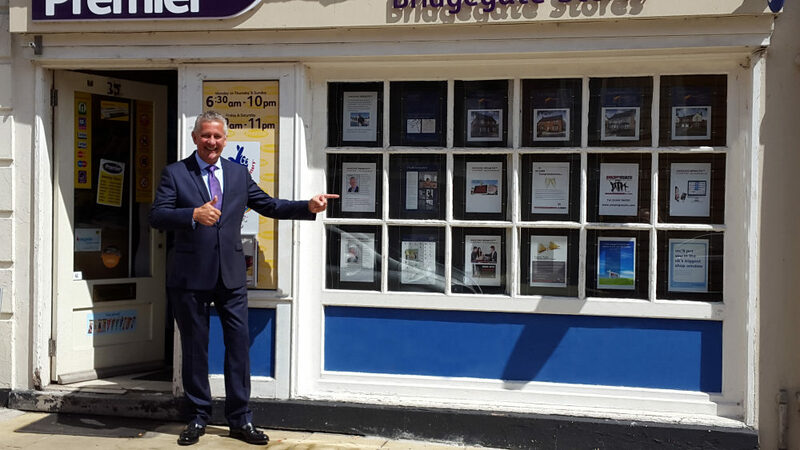 which he describes as an estate agency with a big difference. Scott said: “I moved to Cheshire to be close to my son and daughter following many successful years owning estate agency offices in Spain. The BBC work came by out of the blue and ended up being a lot of fun until the Spanish property crash in 2007. “I’ve been in estate agency for fifteen years but the way Amazing Results! do things is certainly very different from anything I’ve experienced. “We’re a hybrid of an online and traditional High Street agent and we offer the best of both those worlds. We have huge exposure on the property portals as well as offering a sole point of contact to property vendors. This means you’ll only ever be dealing with me rather than being passed around an office or worse still, not having any real personal service. The initial response Scott’s new business has been so encouraging he is already looking for people to join his team. Scott Lucy has opened up an estate agency which does things very differently.